Woody Harrelson has officially joined the cast of the Han Solo standalone film, according to StarWars.com. Earlier this month, TheWrap reported that Harrelson was in early talks to join the “Star Wars” spinoff as Han Solo’s mentor. The directors did not reveal any character details in their confirmation. The cast already includes Alden Ehrenreich (Han Solo), Donald Glover (Land Calrissian) and Emilia Clarke. Kathleen Kennedy and Allison Shearmur are producing the spinoff film, which is expected to begin production in January with Ehrenreich stepping into the Millennium Falcon in a role that Harrison Ford originated. The film is slated to hit theaters on May 25, 2018. The first “Star Wars Story,” “Rogue One,” has grossed more than $916 million worldwide since opening last month. Harrelson next appears in “The Glass Castle” opposite Brie Larson, “Wilson,” and the highly anticipated “War of the Planet of the Apes,” in which he plays the new villain. He is represented by CAA. Of course the young Han Solo spinoff movie would have to include Lando Calrissian. What we don't know, however, is who's going to take on the role alongside Alden Ehrenreich's Han. Billy Dee Williams was 42 when he shot "The Empire Strikes Back," so we looked for actors younger than that to play Lando in his prequel days. 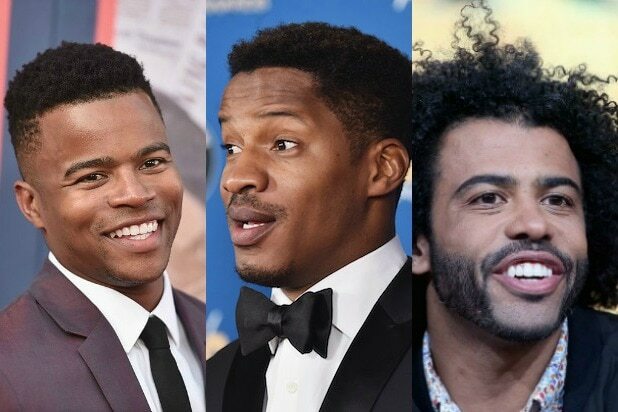 After impressing in "Red Tails," "Non-Stop" and "Beyond the Lights," Nate Parker is about to rack up a pile of Oscar nominations for "The Birth of a Nation" -- which he wrote, directed and starred in. He's more than got the range to take on Lando. The "Straight Outta Compton" star is also about to become a household name as he takes over from Kiefer Sutherland on "24: Legacy." Hawkins has the sort of detached wariness you'd want to see from Lando in his earlier years. What better way for the Thomas Jefferson of "Hamilton" to transition to big screen stardom than by taking on Lando? He's definitely smooth enough to pull it off. He broke out with lengthy runs on "True Blood" and "The Newsroom" and by landing a spot in "Dear White People." This would be a big step up, but "Star Wars" films love to catch rising stars, from Daisy Ridley to Jon Boyega. A bona fide movie star, we think Michael B Jordan should be in everything. He's almost definitely too busy, especially with "Black Panther" coming up soon, but we can dream. The taller half of Key & Peele already played Lando once, in a sketch on their show. He's an offbeat choice, for sure, but the young Han Solo movie is coming from "Jump Street" directors Phil Lord and Chris Miller -- and in their hands, we think Key would work perfectly. Almost no chance of this happening, and fans would definitely hate the idea, but the "Fast/Furious" star would fit Lando like a glove.